Please note that the dates below are subject to change. His Holiness the Dalai Lama, the spiritual leader’s teaching in the new year will begin this February. Below is the detailed schedule as per the official announcement. His Holiness will give a short teaching from the Jataka Tales in the morning at the Main Tibetan Temple. His Holiness will give five days of teachings on Bhavaviveka’s Essence of the Middle Way(Madhyamakahrdayakarika) (uma nyingpo) in the mornings at the Main Tibetan Temple. His Holiness will attend a Long Life offering prayer given to him by four separate groups in the morning at the Main Tibetan Temple. His Holiness will give three days of teachings in the mornings for Tibetan Youth at the Main Tibetan Temple. His Holiness will attend a Long Life offering prayer given to him by two groups in the morning at the Main Tibetan Temple. His Holiness will attend a Long Life offering prayer given to him by former staff of the Central Tibetan Administration in the morning at the Main Tibetan Temple. His Holiness will give four days of teachings and continue last year’s topic on Buddhapalita’s Commentary on the Fundamental Wisdom of the Middle Way (drel-pa Buddhapalita) in the mornings at the request of a group from Asia. His Holiness will give four days of teachings at the request of Taiwanese. His Holiness will give three days of teachings at the request of Koreans. On December 28 and 29 mornings, His Holiness will teachings on Shantideva’s A Guide to the Boddhisattva’s Way of Life (chodjug). On December 30 morning, His Holiness will confer an Avalokiteshvera Initiation (chenresig wang). On December 31 morning, His Holiness will attend a Long Life offering prayer to him. His Holiness will inaugurate the Drepung Loseling Meditation and Science Center in the morning. His Holiness will confer a Hayagriva Initiation (tamding yangsang kawang) at Sera Je Monastery. His Holiness will inaugurate the new debating courtyard of Sera Mey Monastery followed by a teaching on Tsongkhapa’s In Praise of Dependent Origination (tendrel toepa) in the morning. His Holiness will give a three-day teaching on Dharmachakra Parivaretan Sutra on The Four Noble Truths (chokyi khorlo korwe do) & Sutra on Dependent Origination (tendrel chi do) in the mornings at the request of Indians. For those wishing to listen to translations please bring your own FM radio. Information on registering for the teachings in Bodhgaya can be found at www.dalailamateaching.com. His Holiness will give a three-day teaching on Nagarjuna’s Commentary on Bodhicitta (jangchup semdrel) & Gyalsey Thokme Sangpos’s Thirty-Seven Practices of a Bodhisattva (laklen sodunma)in the mornings. On the morning of the third day, the Mongolian Buddhist devotees will offer a long life offering ceremony (tenshug) to His Holiness at the request Lamyn Gegeen Tenzinjamphelchoijisheinen Tulku. For those wishing to listen to translations please bring your own FM radio. Information on registering for the teachings in Bodhgaya can be found at www.dalailamateaching.com. four day teachings on Buddhapalita’s Commentary on the Fundamental Wisdom of the Middle Way (drel-pa Buddhapalita) at the request of a group from Asia including Indonesia, Korea, Malaysia, Singapore, Thailand and Vietnam at the Main Tibetan Temple from 29 – 1 September. His Holiness will give public talk on Global Ethics – Shared Values in the afternoon organized by Tibet House Frankfurt to be held at Jahrhunderthalle, Frankfurt on 13 September. On 14 September, His Holiness will participate in a one-day conference on Western Science and Buddhist Perspectives to be held at Jahrhunderthalle. On 16 September, His Holiness will give a public talk on Peace in the morning at the Ancient Greek-Roman Theater of Taormina, Sicily, Italy. His Holiness will give a public talk on Compassionate Ethics and Interdependence in the morning at Teatro Vittorio Emanuele, Messina, Sicily, Italy on 17 September. His Holiness will give teachings on Buddhapalita’s “Commentary on the Fundamental Wisdom of the Middle Way (drel-pa Buddhapalita)” at the request of a group from Asia including Indonesia, Korea, Malaysia, Singapore, Thailand and Vietnam at the Main Tibetan Temple. Public Talk in Guwahati, Assam, India on April 1: As part of the Concluding Program of the Platinum Jubilee Celebrations of The Assam Tribune, His Holiness will give a public talk on A Human Approach to World Peace in the early afternoon at the ITA Center for Performing Arts. Teaching in Tawang, Arunachal Pradesh, India from April 5 to 7: On April 5 & 6 mornings, His Holiness will give teachings on Kamalashila’s The Middling States of Meditation & Gyalsey Thokme Sangpo’s Thirty-Seven Practices of a Bodhisattva at Yiga Choezin. On April 7 morning, His Holiness will confer the Rinzin Dhondup Initiation at Yiga Choezin. His Holiness will give an Introductory Teaching on Buddhism and confer the Amitayus Long Life Empowerment (tsepakme tsewang) in the morning at the Himalayan Nyingmapa Buddhist Temple. On May 14 morning, His Holiness will give a teaching on Shantideva’s A Guide to the Bodhisattva’s Way of Life (chodjug). On May 15 morning, His Holiness will confer the White Tara Permission (drolkar jenang). His Holiness will confer the Four-Armed Avalokitshvara Permission (chenresig chashi jenang) in the morning. May 17 & 18 mornings, His Holiness will give teachings on Tsongkhapa’s Concise Stages of the Path to Enlightenment (lamrim dudon). On May 19 morning, His Holiness will confer the Avalokiteshvara Empowerment (chenresig wang). His Holiness will give a teaching on Guru Yoga of Avalokiteshvara (chenresig lama neljor) in the afternoon. His Holiness will give a teaching in the afternoon. His Holiness will give a short teaching and confer a White Tara Long Life Empowerment (drolkar tsewang) in the morning. On May 23 & 24, His Holiness will give teachings on Nagarjuna’s Precious Garland (rinchen trengwa). On May 25, His Holiness will confer an Avalokiteshvara Permission (chenresig jenang). Teaching in Dharamsala, H.P., India on March 12: His Holiness will give a short teaching from the Jataka Tales in the morning at the Main Tibetan Temple. Teaching in Dharamsala, H.P., India on March 13 & 14: His Holiness will give two days of teachings on Kamalashila’s The Middling States of Meditation (gomrim barpa) & Gyalsey Thokme Sangpo’s Thirty-Seven Practices of a Bodhisattva (laklen sodunma) in the mornings at the Main Tibetan Temple. 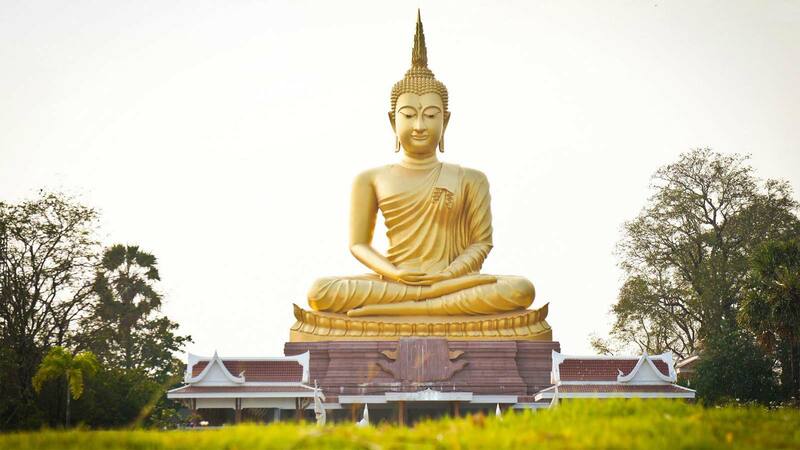 Conference in Rajgir, Bihar, India on March 17 & 18: His Holiness will participate in a 3-day international conference onThe Relevance of Buddhism in the 21st Century being organized by the Ministry of Culture, Govt. of India. Public Talk in Bhopal, Madhya Pradesh, India on March 19: His Holiness will give a public talk on The Art of Happiness in the early afternoon organized by the Anand Department, Govt. of Madhya Pradesh at the Vidhan Sabha Auditorium. For those who have completed a hundred-thousand repetitions of each of the four preliminary practices.